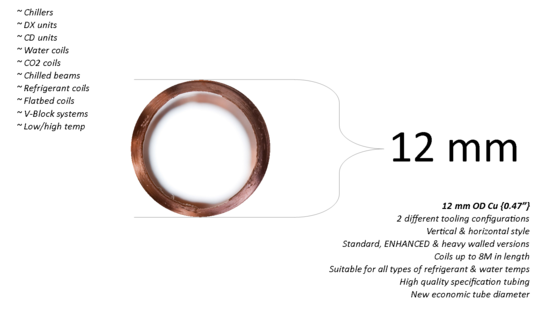 We introduced 12 mm to our range to be used for cost saving against the more standard 1/2" tube we offer. This can sometimes be achieved with little variation on performance whilst giving slightly cheaper production costs. This tube can be used on most standard refrigerant or water coil designs.